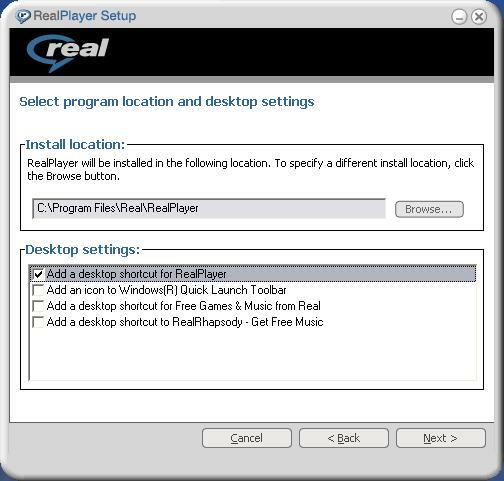 Please follow these setup to install Real Player to your computer. Click on the images to view full sized image. 2. 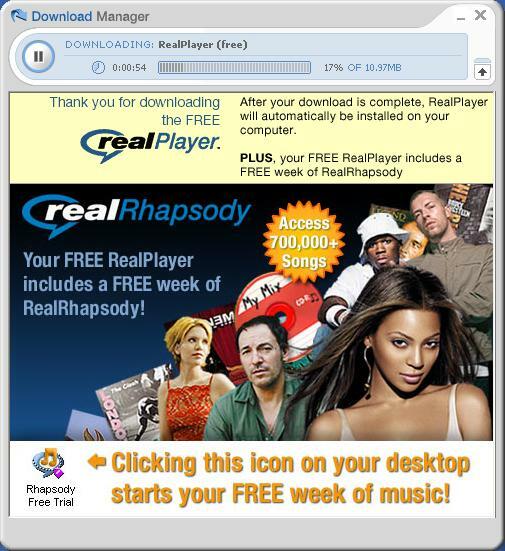 Click big orange button "Download RealPlayer"
3. 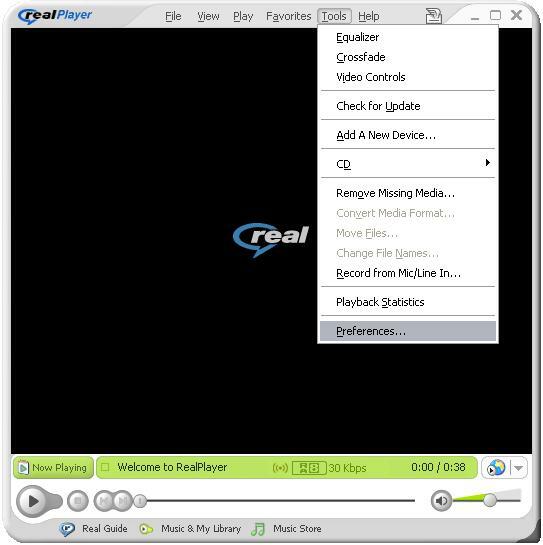 Click "Download Free RealPlayer"
5. 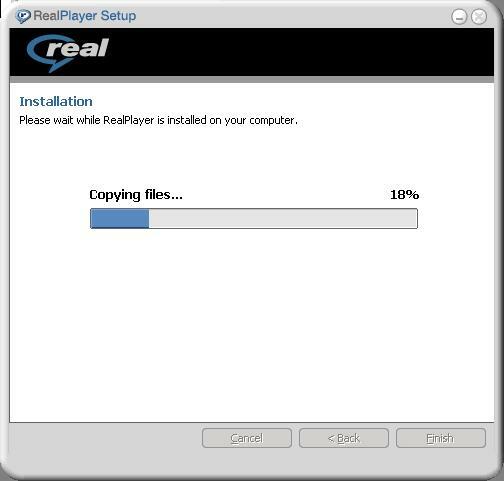 If download did not start automaticaly - click "START REALPLAYER DOWNLOAD"
7. 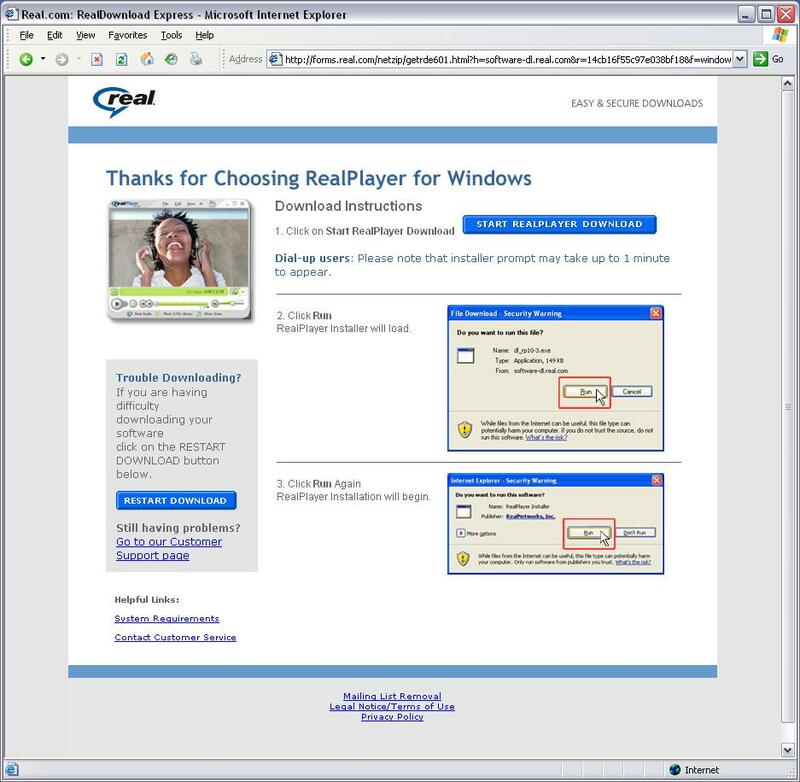 If you have Windows XP Service Pack 2 installed - click "Run" again. 11. 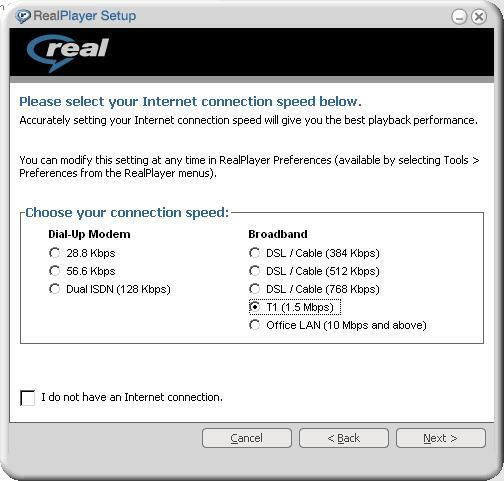 Select "T1 (1.5 Mbit)" for your connection speed and then click "next"
12. In this window you may select optional components and shorcuts. 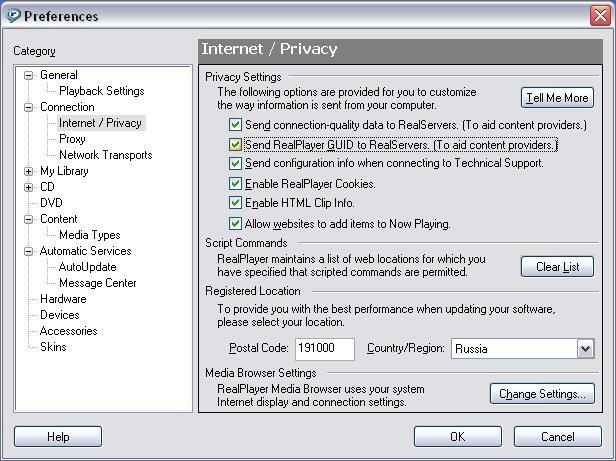 We recommend to uncheck all checkboxes. 13. 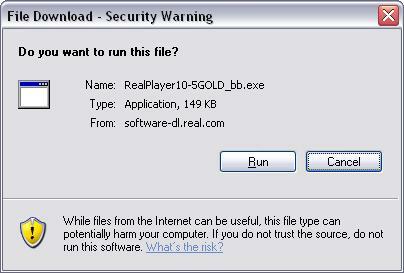 Installation wizard will copy all necessary files. It may take a while, no action is required. 14. 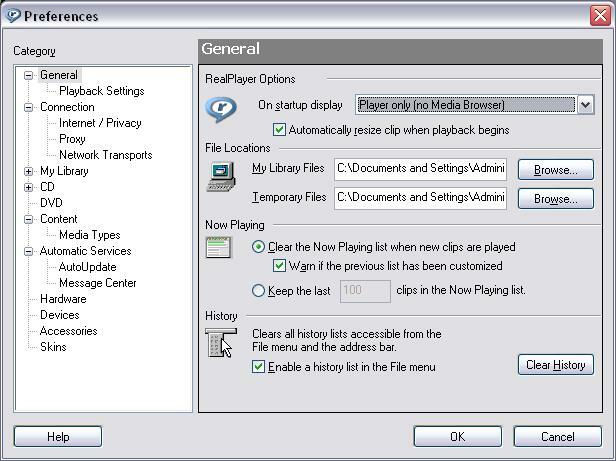 If you wish to keep your default player "Microsoft Media Player" - unckeck all checkboxes. 15. 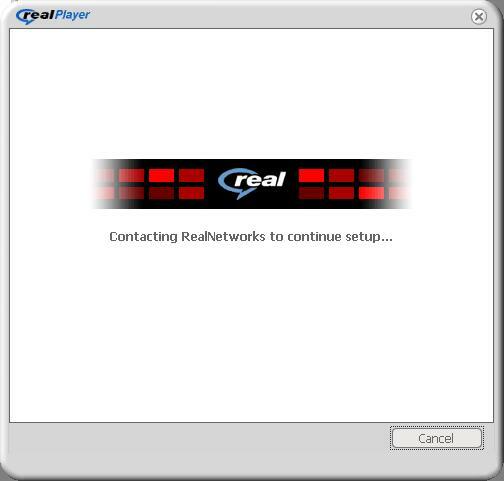 RealPlayer installation wizard will contact RealNetworks to continue setup. 16. 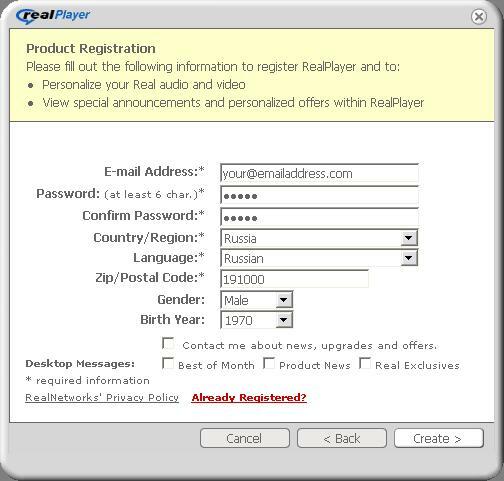 You will need to register your realplayer at RealNetworks site. 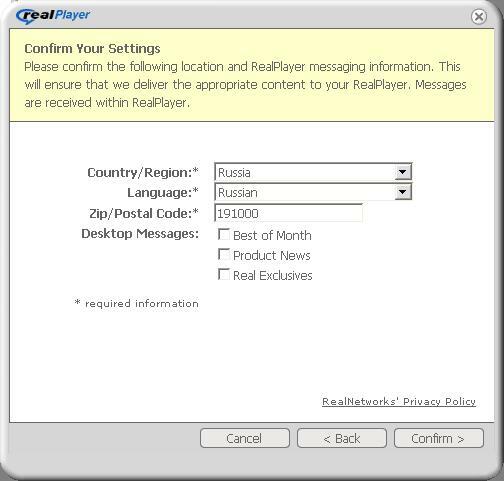 Please fill out all fields, and unckeck all boxes at the bottom if you wish to not receive any messages from RealNetworks. 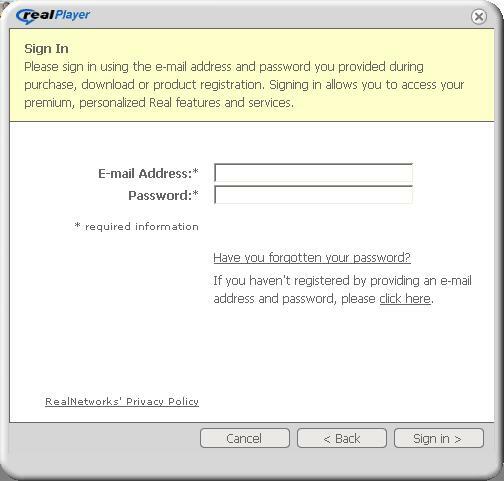 If you already registered at RealNetworks - click "Already registered", enter your email and password. 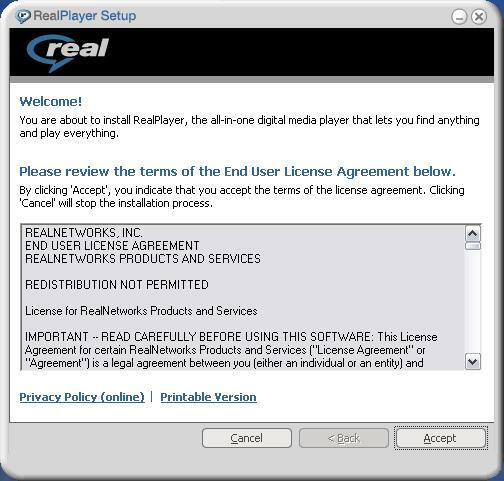 You will receive a "thank you" email from RealNetworks. 17. 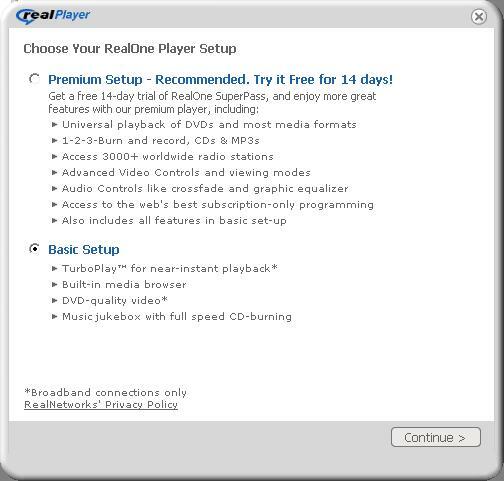 Select "Basic setup" and click "Continue"
19. 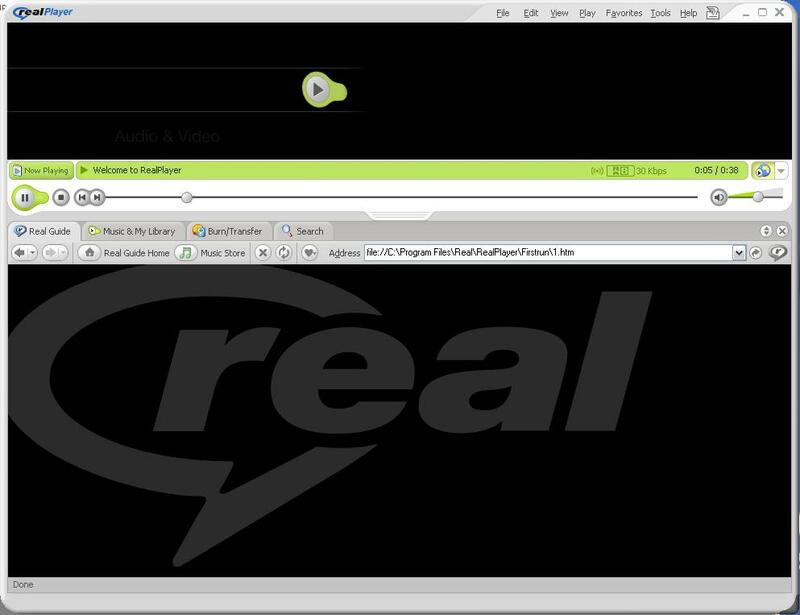 In main RealPlayer window click "Tools", then "Preferences"
20. 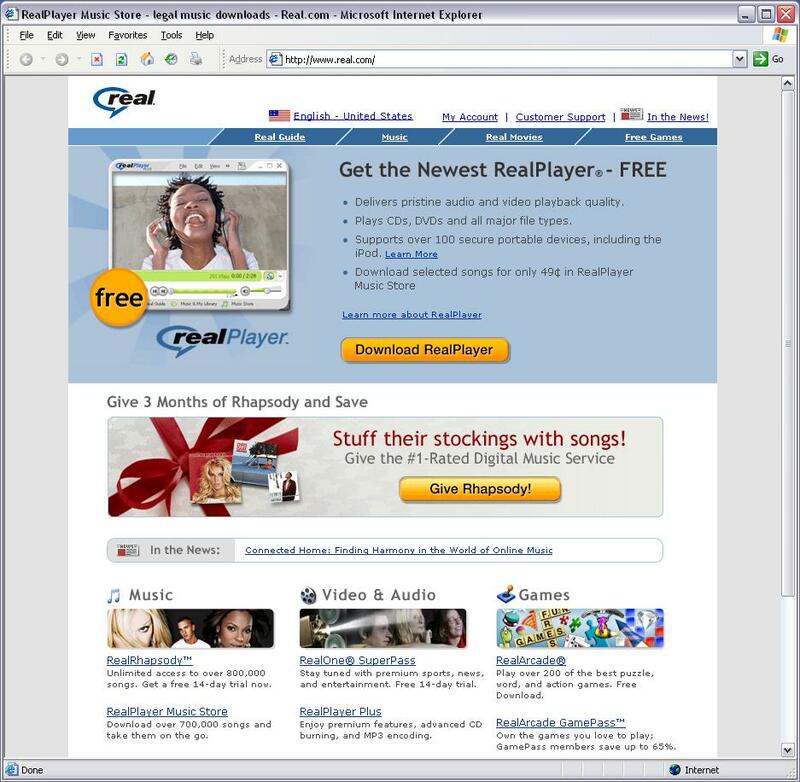 In the category "General", for "On startup display" select "Player only (no Media Browser)"
21. 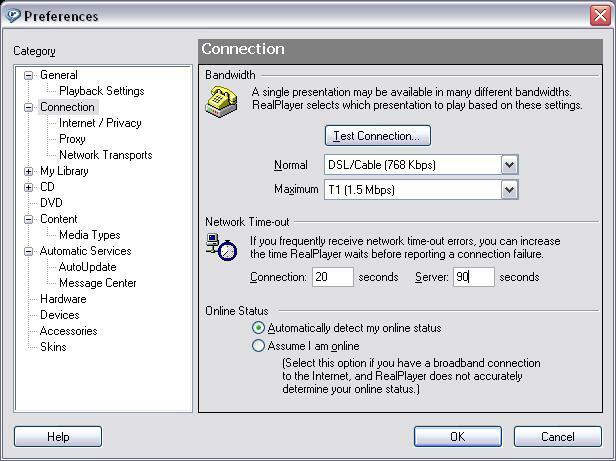 In the category "Connections" make sure that your "Normal speed" is higher than 768 kbit/sec. "Maximum speed" speed can be T1 (1.5 Mbit/sec) or higher. 22. 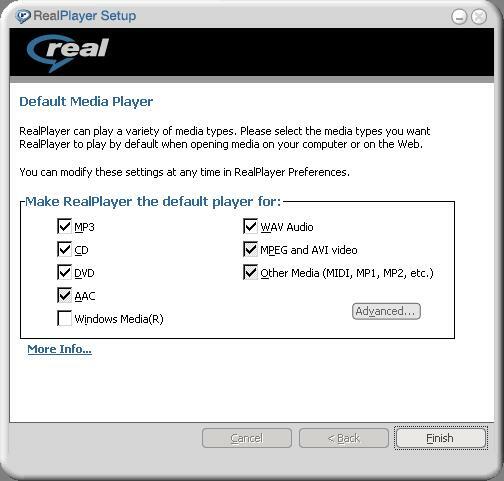 Under "Connections" category click on "Internet/privacy", and check box "Send RealPlayer GUID to RealServers."